Where is Pelican Point San Luis Bay Estates? Pelican Point is located North of Mallard Green and Avila Beach,South of Kingfisher Canyon and the city of San Luis Obispo California in San Luis Obispo County. Quail Canyon and Heron Crest is to the West, and Indian Hill is to the East. The closest main road is San Luis Bay Drive off Highway 101. Directions from Highway 101: Turn West onto San Luis Bay Drive, then turn right onto Bay Laurel Place, then through the gate, then turn left onto Lupine Canyon Road, then turn right onto Fire House Canyon Road, after .3 if a mile you will be there. The following are the street names in this community: Twinberry Circle, Fiddleneck Lane, Coffeeberry Court, Goosefoot Court, Brass Button Court, Cranesbill Place, and Snowberry Circle. 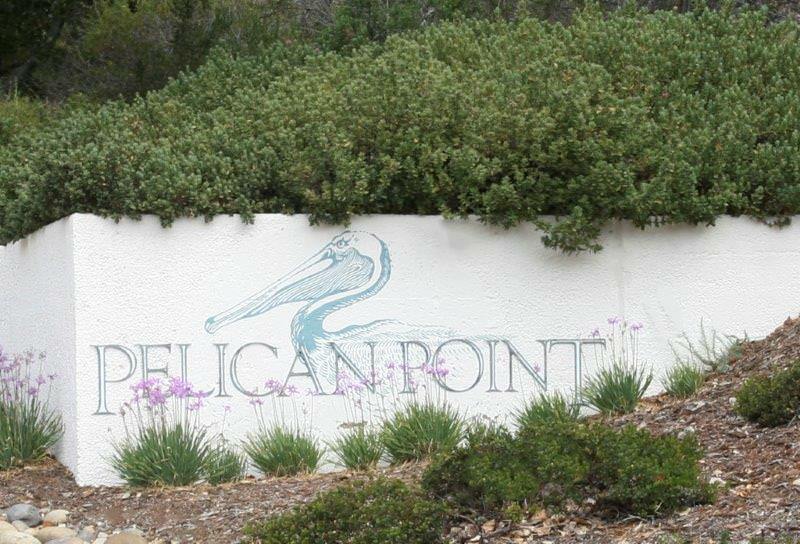 Pelican Point San Luis Bay Estates features 110 lots in this gated community. Most of these homes were built between 1987 and 1989, most of them being built in 1988. Where do these homes get their water? The homes get water from the San Miguelito Mutual Water Company. The current monthly fees are $41.66 for water and $47.97 for sewer plus water usage. More information can be found on their website. The homes are part of the San Luis Bay Estates HOA, and the monthly fees are around $250.00 More information can be found on their website. There are many local activities including the Bob Jones trail, golfing at the Avila Beach golf resort, and the Avila Bay Athletic Club & Spa. Residents of San Luis Bay Estates can get 20% off the initial registration fee. For more information go to their website or give them a call at (805) 595-7600. If you are selling your Pelican Point home please go to my site www.FreeHouseQuotes.com to request a free market evaluation. If you are looking to purchase a home in Pelican Point search homes for sale in San Luis Obispo Bay Estates click here. My Real Estate service area includes: Avila Beach, Pismo Beach, San Luis Obispo, Morro Bay and most of the Central Coast. The Central Coast MLS shows two homes currently listed for sale those homes are on Snowberry Cir and Twinberry Cir Avila Beach. My Real Estate web site will give you the current listings and homes for sale for Pelican Point in Avila Beach. Pelican Point San Luis Bay Estates recently sold homes. I look forward to working with you and your real estate needs. #SanLuisBayEstates #AvilaBeach #AvilaBeachRealEstate #AvilaBeachHomesforSale #LuxuryHomes #GatedCommunity #RealEstate #RetirementCommunity #JamesOutlandJr.